Yamanomura, where there are seven villages in the Hida mountain area, has an elevation of 1000 meters. 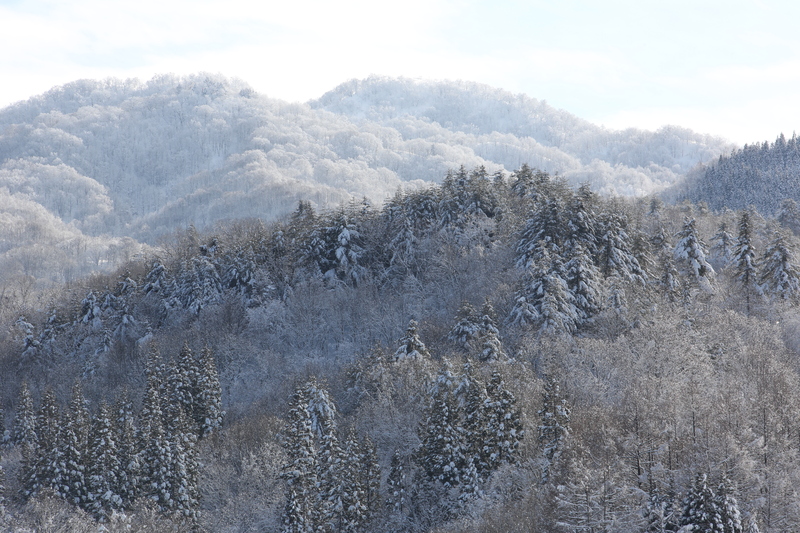 The area is 4.5 km by mountain road from the town of Kamioka. 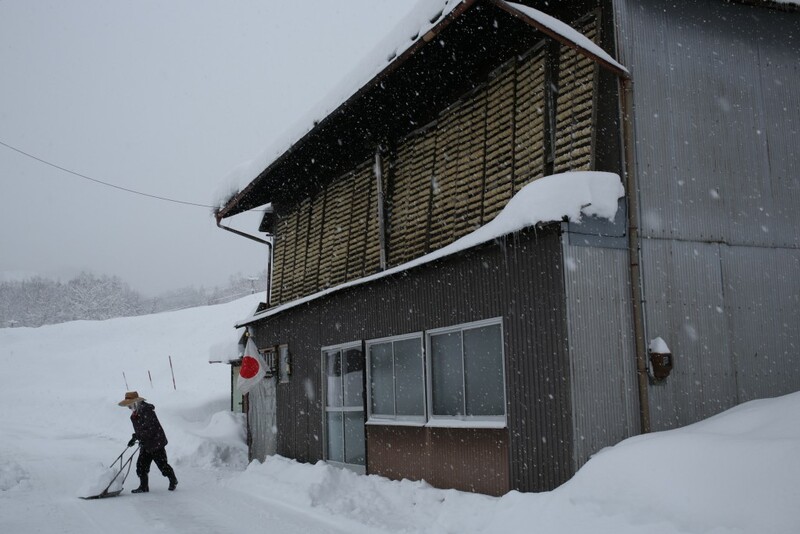 It takes two hours to reach from Takayama City by car. The population is about 150 people. It’s a small town and it is not easy to visit, especially during winter. One particularly well-known food in this area is ‘kanboshi-daikon’. A house with ‘kanboshi-daikon’. Taken at the end of December. ‘Kan’ means cold, ‘boshi’ means dried and ‘daikon’ is ‘Japanese radish’, so ‘kanboshi-daikon’ is a radish dried in a cold breeze. It is said that it has been produced for several hundred years. Locals digging up some Japanese radishes at the beginning of November. 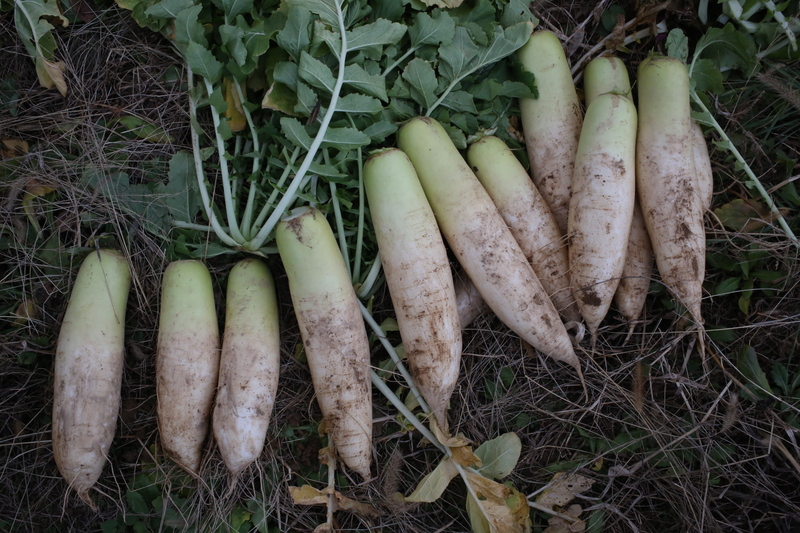 People in the area plant radish seeds at the end of August and harvest them at the beginning of November. Those radishes that are harvested are put in a hole for them and kept there and are then dug up at the coldest period of winter. After they are dug up, locals wash them in cold water, peel off the skin and cut them in slices about 2cm thick. Then they cook them in boiling water for approximately 30 mins. After that, they need to be air-dried beneath the eaves of their houses for a month. People used to string the radish slices on straw in olden days, but nowadays they have gotten used to using gardening stakes. They are more convenient and with them it is possible to dry many radish slices at once. Two locals are still using straw for drying. Nowadays, almost all locals are using gardening stakes. 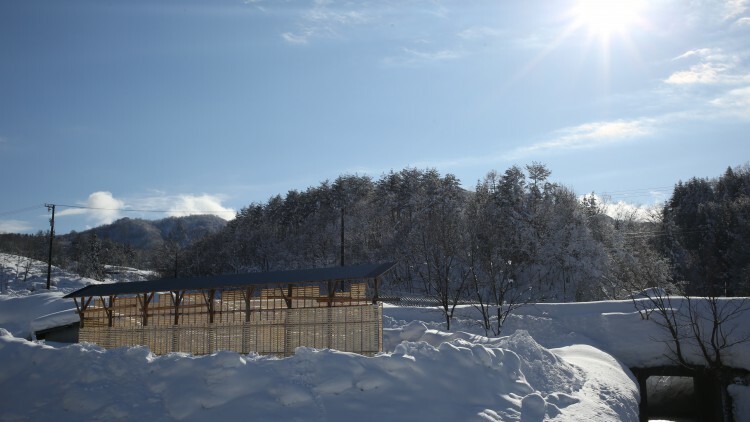 The most important elements for preserving ‘kanboshi-daikon’ are the sunlight during the daytime and temperatures around freezing at midnight. This hot-cold temperature difference needs to be repeated. If there is rain during the drying phase, the ‘kanboshi-daikon’ will easily spoil. Left: three nights from start of drying, right: a fortnight from start of drying. There are similar foods all over Japan. They are called ‘kiriboshi-daikon’ (dried strips of Japanese radish). The taste is almost the same, but the nutritional value of ‘kanboshi-daikon’ is much higher than that of ‘kiriboshi-daikon’. 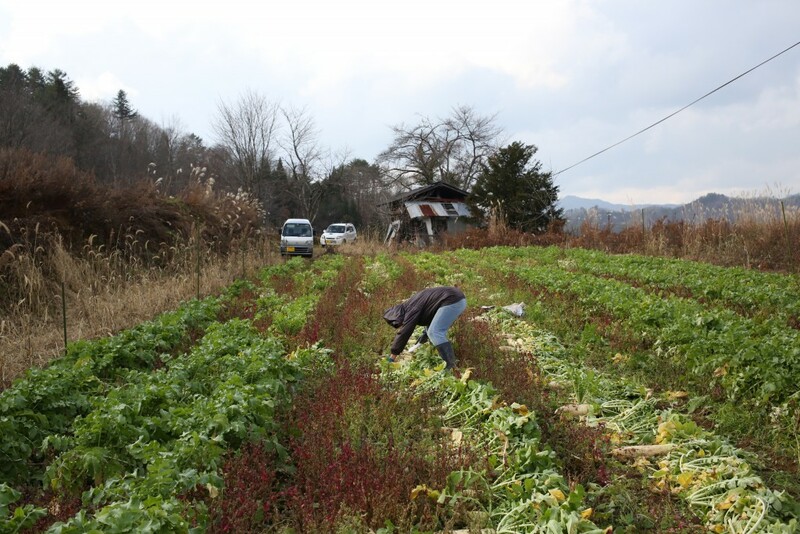 The climate and soil in the village of Yamanomura are well suited for the making of ‘kanboshi-daikon’. They sweeten as they dry, and their calcium content increases through sunlight. 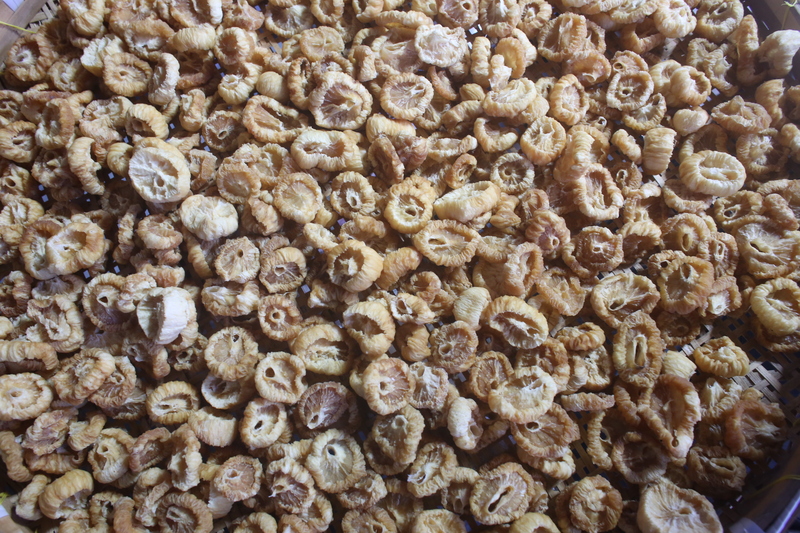 After drying them in sunlight for one month, people dry them further over the stove in their own homes for a few days. The color of ‘kanboshi-daikon’ changes from yellow to yellowish-brown. Usually they will keep until summer. If you use the refrigerator, they will keep even longer. Now, let us give some instructions on how to cook ‘kanboshi-daikon’. 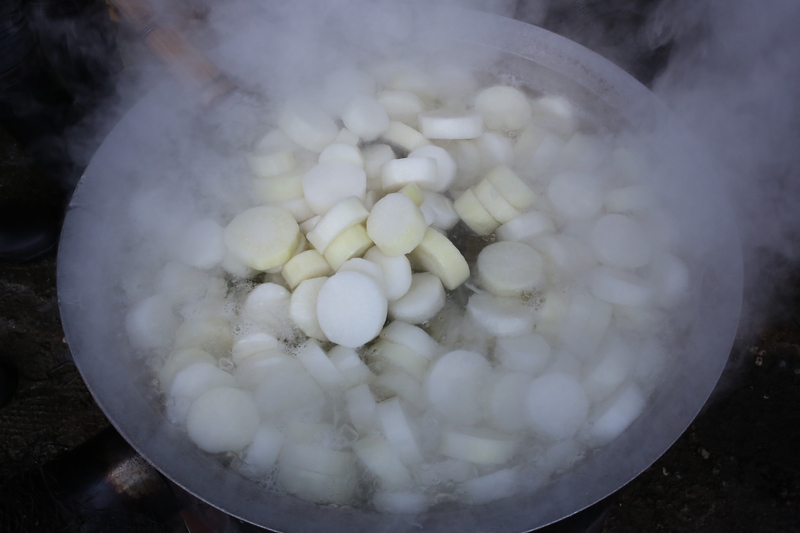 First, soak ‘’kanboshi-daikon’ in water until tender. You can eat them as they are with fresh vegetables as a salad. Or you can boil them with some vegetables and meat. The most popular ways of cooking them are in miso-soup or boiled dishes with some vegetables. They can be added to hot pots such as sukiyaki and gratin. They won’t take long to cook, so they are handy for a busy housewife. 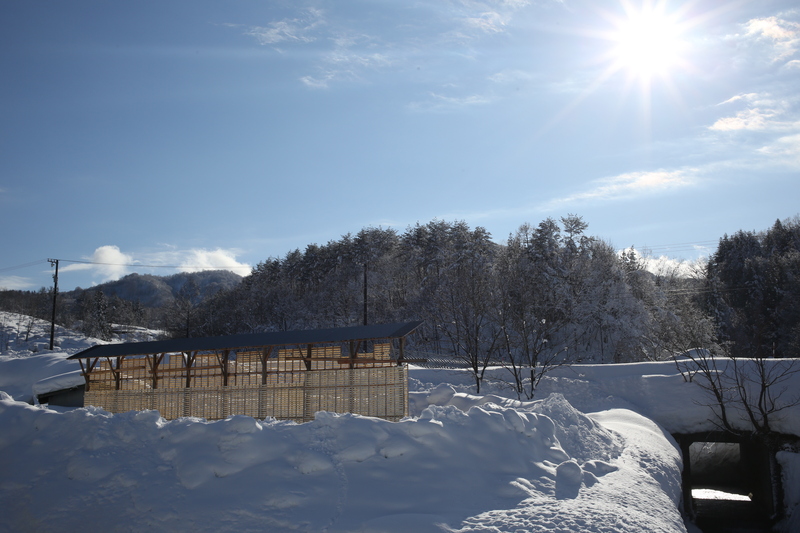 Scenery with ‘kanboshi-daikon’ in Yamanomura. Given the conditions of being located far from a main town and big city, where winters are long and there is a lot of snow, life is not easy for human beings. But the environment and people who live there have come up with special foods. People respect these traditional customs. 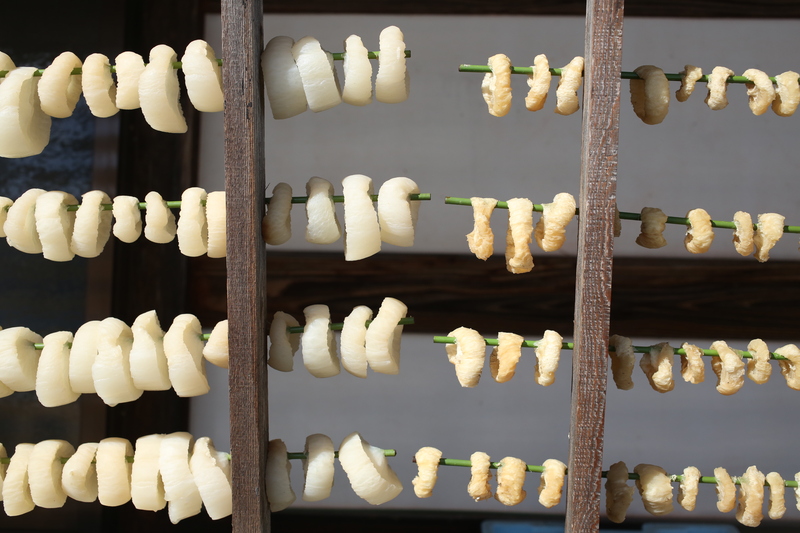 ‘Kanboshi-daikon’ is a special food in the village of Yamanomura.